Southern Terminus: U.S. border at the International Peace Garden south of Boissevain. Northern Terminus: Saskatchewan boundary in Flin Flon. 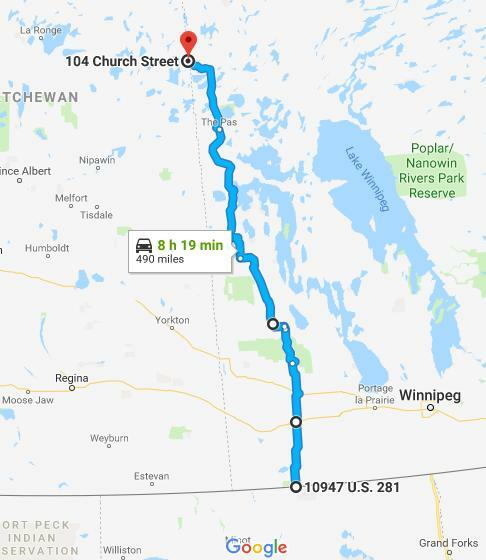 PTH 10 is one of Manitoba's most prominent and vital highways, covering much of Western Manitoba beginning at the Manitoba/North Dakota border at the International Peace Gardens and ending in Flin Flon at the Manitoba/Saskatchewan border. On its way north, the route passes through Boissevain to Brandon, Manitoba's second largest city, before continuing north to Minnedosa. North of Minnedosa, the highway proceeds through Riding Mountain National Park, where speeds are reduced to 80 km/h along the scenic, winding route. After leaving the park, PTH 10 joins with PTH 5 and passes around Dauphin, then resumes its northerly course towards Swan River, The Pas and ultimately Flin Flon. PTH 10 travels along a two-lane undivided highway through nearly all of its length. Click here to show the route.